Yellow wild indigo is an uncommon plant in Missouri with native populations confirmed in Barry and Randolph Counties. 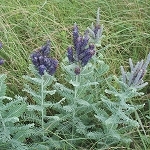 It goes by several common names, including bush pea, green wild indigo, yellow wisteria, round wild indigo, upright wild indigo, and round-fruited baptisia. 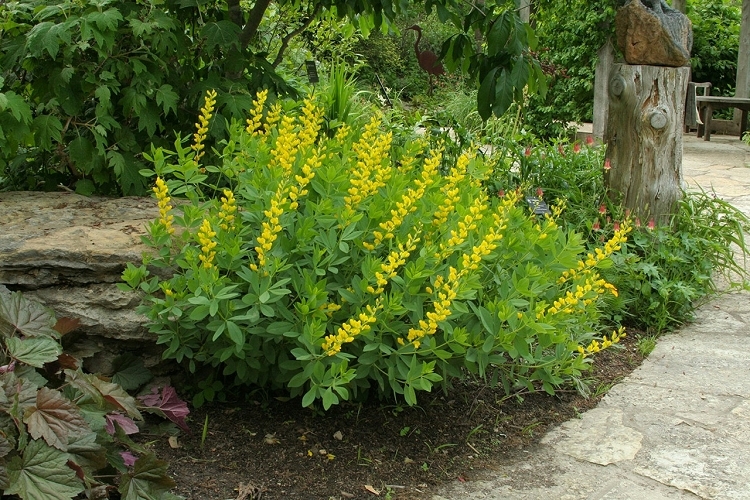 It can hybridize with other Baptisia species. 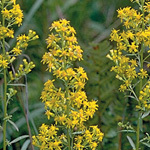 The showy yellow flowers can be used in cut flower arrangements. The plant turns an olive-brown color after it has dried. Harvest seed in July or August. If you sow the seed soon after collecting, it can sometimes go ahead and germinate. It can store dry until you're ready to sow it. Sow between November and February to allow for stratification, or scarify the seed and let soak in water overnight if sowing in spring.